The very first swimming pool was built by the ancient civilisation of the Indus Valley sometime in the third millennium. 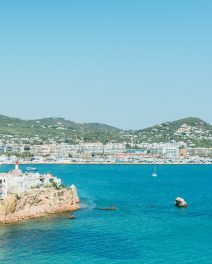 Since then, the swimming pool has become an essential part of the lifestyle kit, especially here in Ibiza where the summer heat requires the kind of quick cooling off that only a pool can provide. 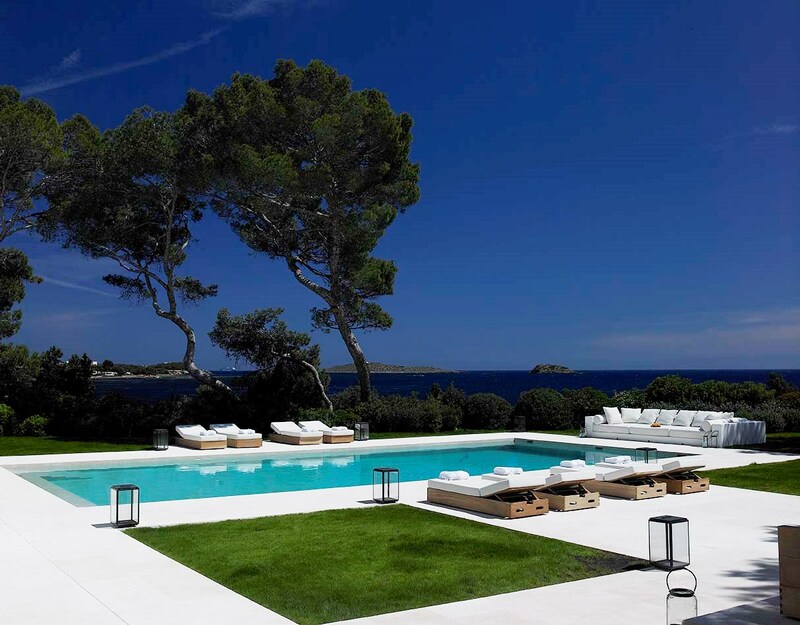 Whether it’s set in a lush lawn surrounded by cypress or clinging onto a cliffside, melting into the sea, the modern pool as imagined by island designers is nothing short of stunning. 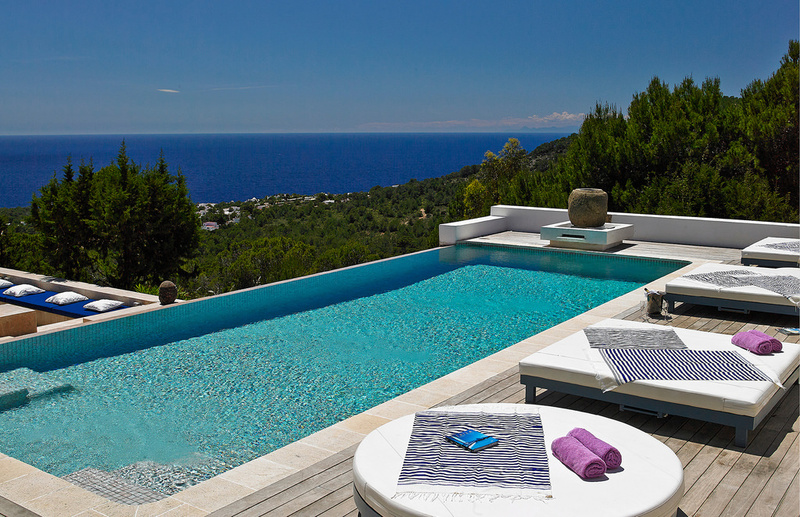 An expertly designed pool can bring a touch of romantic glamour to the Mediterranean garden. Whether traditional rectangular shapes or matched to the curvature of the scenery, the pool is no longer the forgotten element of landscape design. 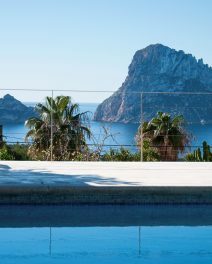 Materials vary from ancient stone, modern polished concrete to Venetian tile, while the cabana and outdoor furniture are indispensable garnishes. Thankfully pools no longer require masses of chemical cleansers. Gone are the days of blonde hair turned green by the end of summer and skin smelling like your granny’s linoleum floor on cleaning day. Nowadays, there are so many different options to make beautiful, chemical-light swimming pools. The natural swimming pool is filtered via a clever assortment of water-dwelling plants and stones. There’s zero chemical usage and once the system is established there’s very little maintenance required. Go for a tropical rainforest watering hole look complete with miniature waterfalls and loads of greenery or hide the filter system in garden beds and keep it minimal. Salt crystal technology has revolutionised pools in recent history with some systems needing just one dose of salts per year. But even if you stick to tried and tested chlorine, these days the technology means that the process is straightforward and the chemical content as low as possible. No more green hair! 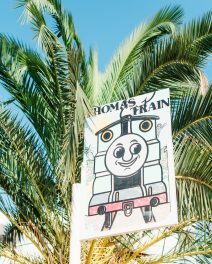 Summer in Ibiza is usually focused on immersion in water, whether at the beach or in the pool. 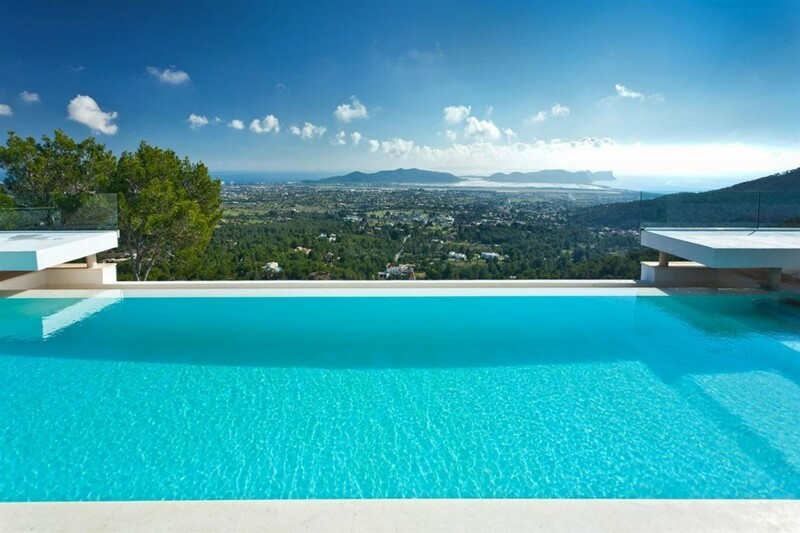 Either way, coming home to a crystal clear, pristine pool is one of modern life’s delights.